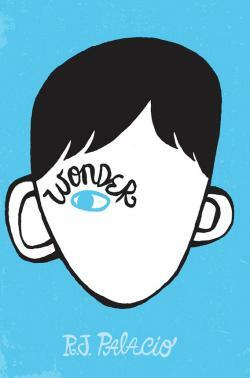 I wasn’t sure what to make of Wonder when I started it. In fact, I put it down for a while thinking it would be a cliched story of a person living with a disability, bullied by others. This book is so much richer and more thoughtful than I first thought. I was inspired to give it another try after my students talked about it at school and after my son recommended it to me after it was recommended it to him by a friend. August is a fifth grader who has been homeschooled until fifth grade because he suffers from severe birth defects that have deformed his face. All his life, people have gawked at him, laughed at him, been scared of him or have otherwise been unkind. August’s parents think he should go to a real school and learn to build friendships. August begins fifth grade at a private school. His entry into school is rough. There are only a few kids who will take the social risk to befriend him. The book moves along well, because each chapter is told from the point of view of another character. You hear not only from August, but also from his sister Olivia, her boyfriend Justin, her good friend Miranda and August’s best friends Summer and Jack. Each person has their own story to tell. I was moved to tears several times in this book. It’s really well done. Highly recommended to tweens and middle school readers.